MIAMI BEACH, FLA. — Reach. It’s the magic word for broadcast television in a world where over-the-top (OTT) delivery of video content is gaining more and more attention on a global level. Flynn’s comments came not at NATPE Miami, winding down at the Fontainebleau resort hotel, but next door amid construction noise at the Nobu Eden Roc — host to the Matrix Solutions Media Ad Sales Summit. The more intimate gathering of radio and TV industry professionals including Frank Friedman, VP/Local Media of The E.W. 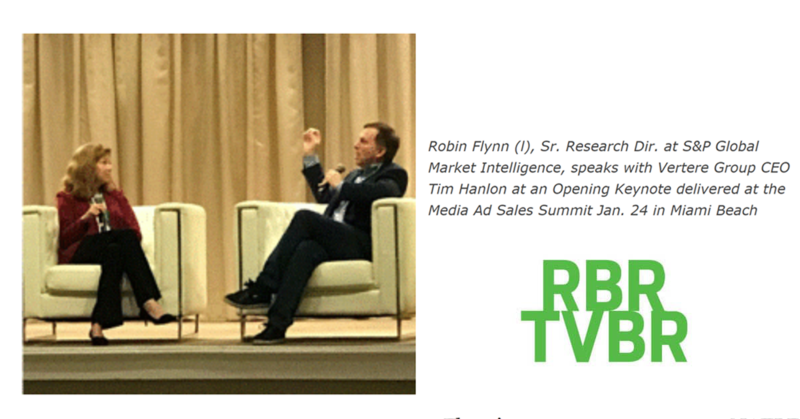 Scripps Co. and a former Publicis ad agency executive, kicked off with Flynn participating in a Q&A with Tim Hanlon, CEO of The Vertere Group.